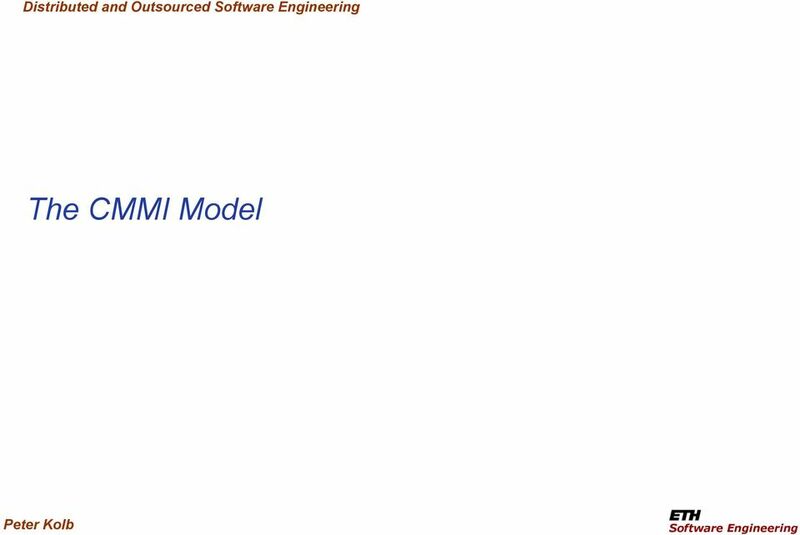 Download "Distributed and Outsourced Software Engineering. 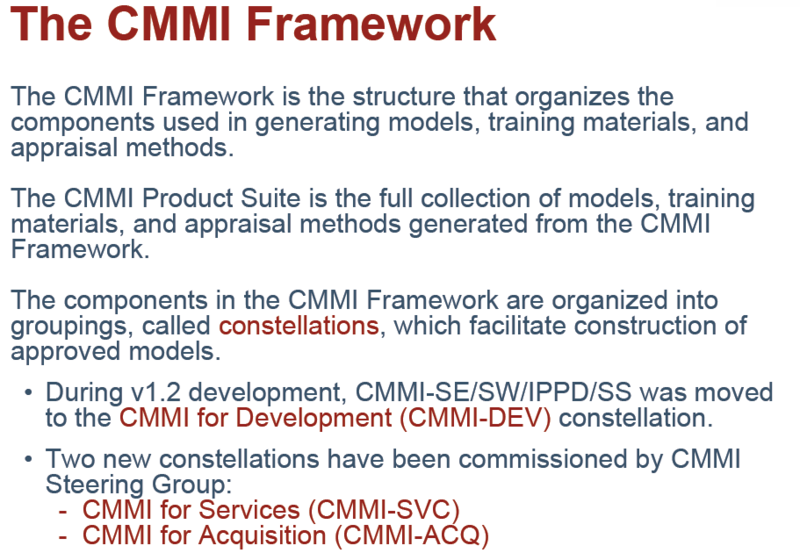 The CMMI Model. Peter Kolb. 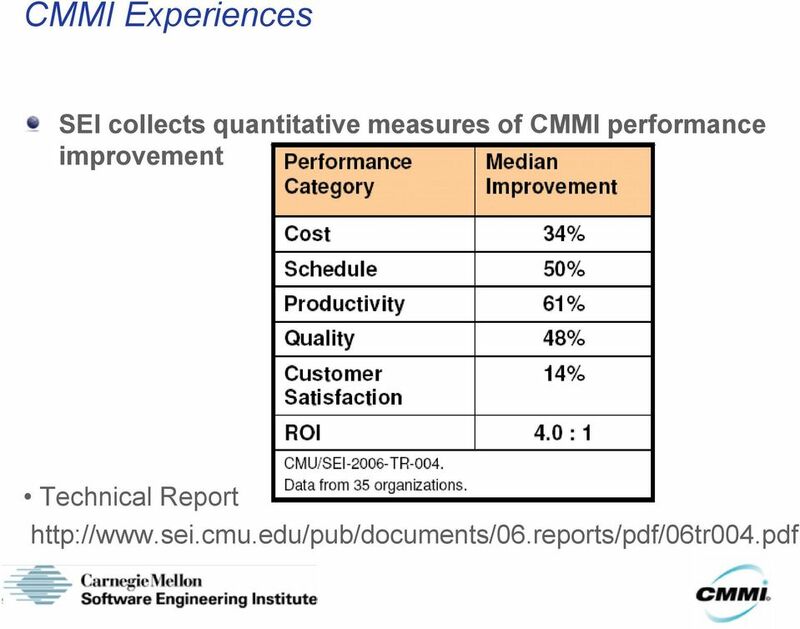 Software Engineering"
3 Agenda Why CMMI? 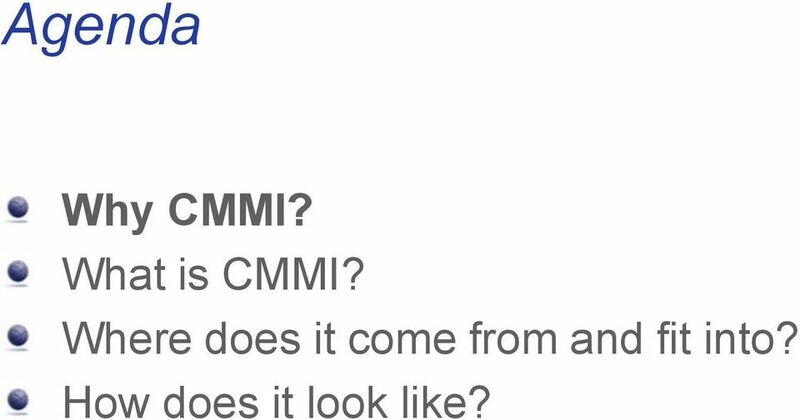 What is CMMI? Where does it come from and fit into? How does it look like? 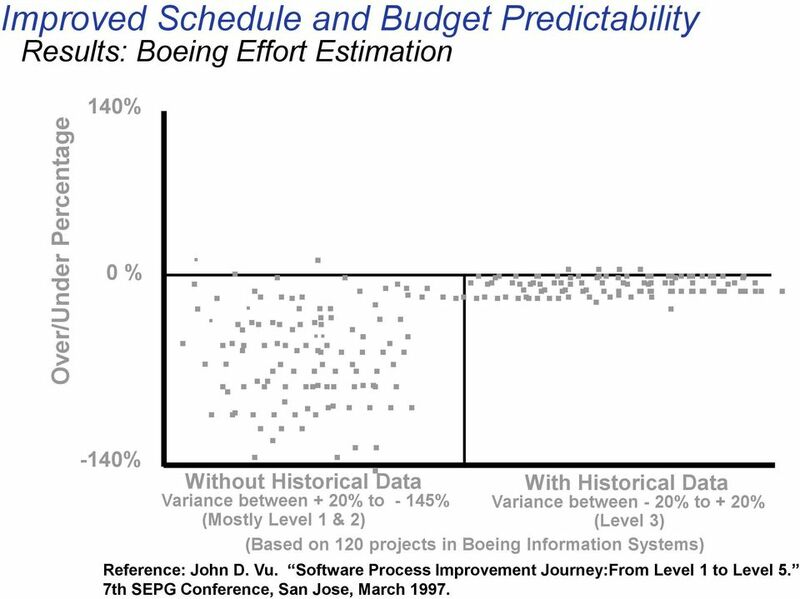 6 Over/Under Percentage Improved Schedule and Budget Predictability Results: Boeing Effort Estimation 140% 0 % -140% Without Historical Data With Historical Data Variance between + 20% to - 145% Variance between - 20% to + 20% (Mostly Level 1 & 2) (Level 3) (Based on 120 projects in Boeing Information Systems) Reference: John D. Vu. 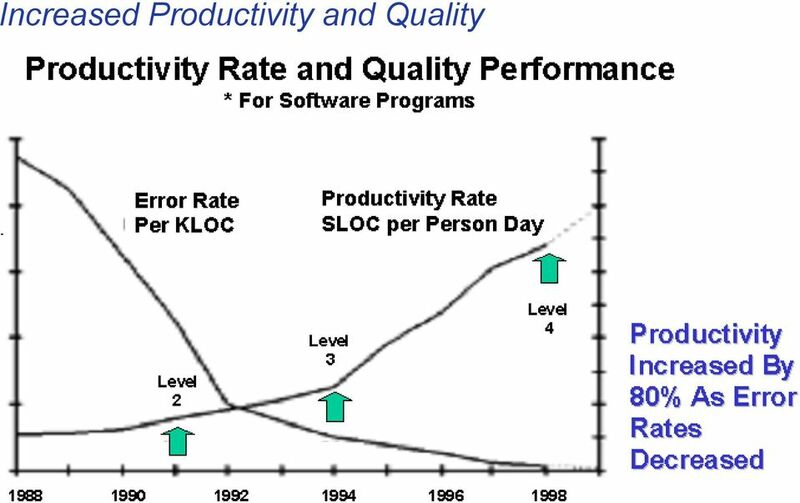 Software Process Improvement Journey:From Level 1 to Level 5. 7th SEPG Conference, San Jose, March 1997. 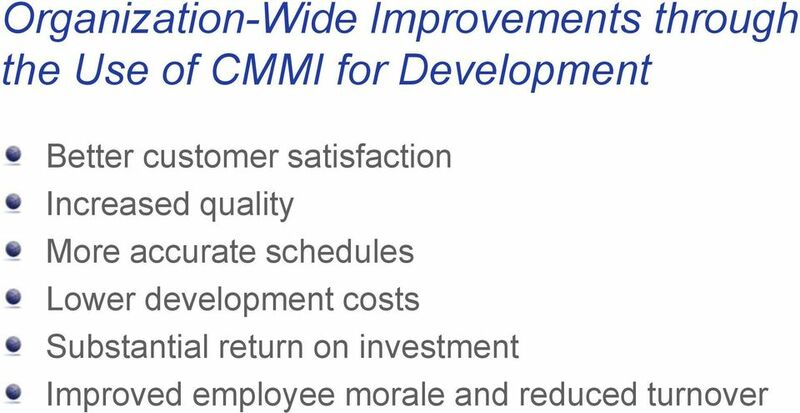 11 Agenda Why CMMI? 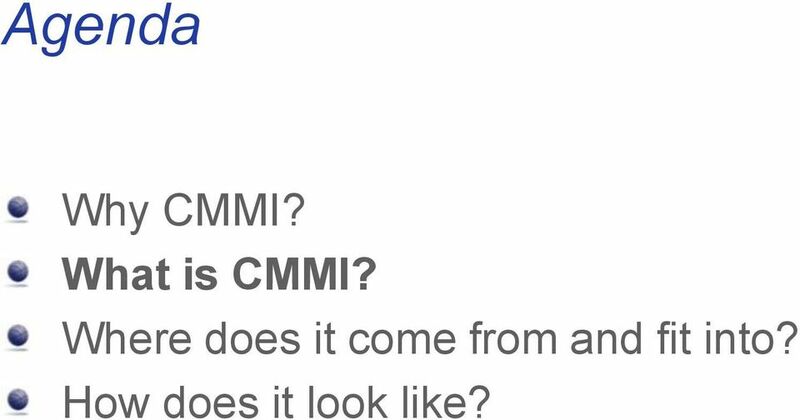 What is CMMI? 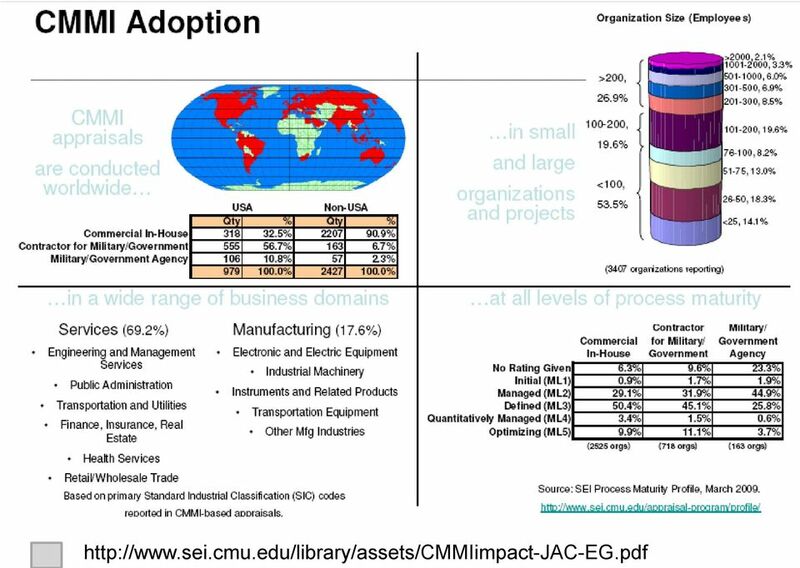 Where does it come from and fit into? How does it look like? 12 Models All models are wrong, but some are useful. George Box Simplified approximations of reality that provide insight. 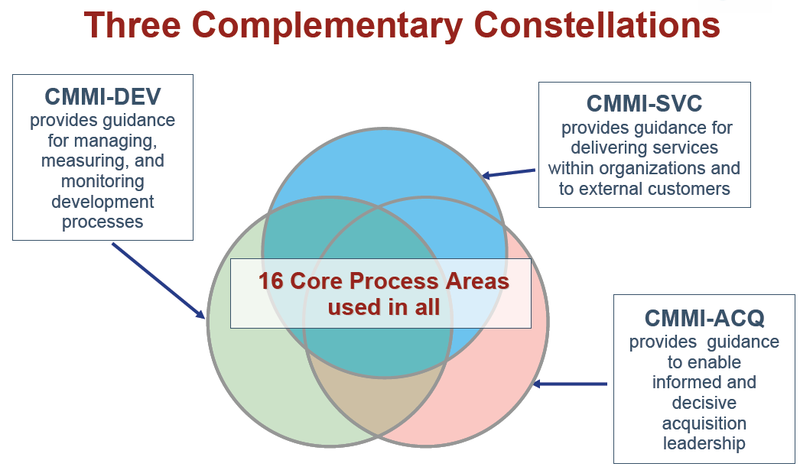 15 Agenda Why CMMI? 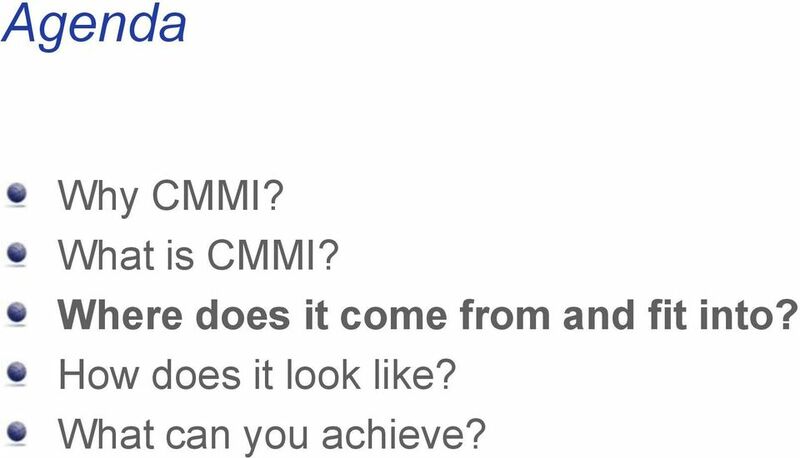 What is CMMI? Where does it come from and fit into? How does it look like? What can you achieve? 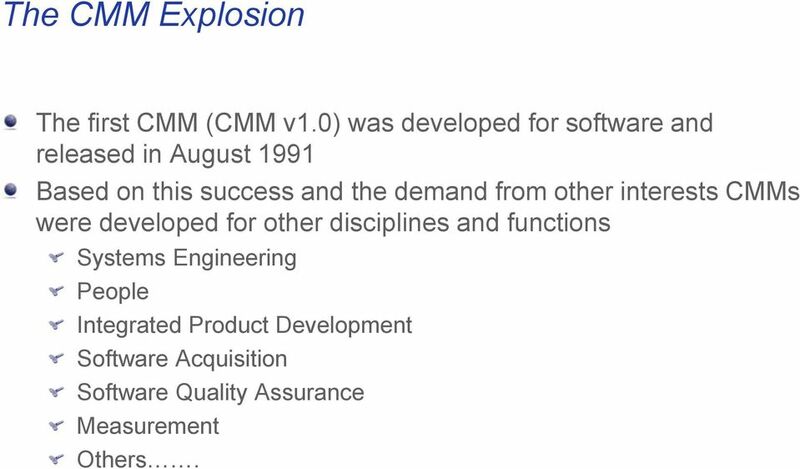 16 The CMM Explosion The first CMM (CMM v1.0) was developed for software and released in August 1991 Based on this success and the demand from other interests CMMs were developed for other disciplines and functions Systems Engineering People Integrated Product Development Software Acquisition Software Quality Assurance Measurement Others. 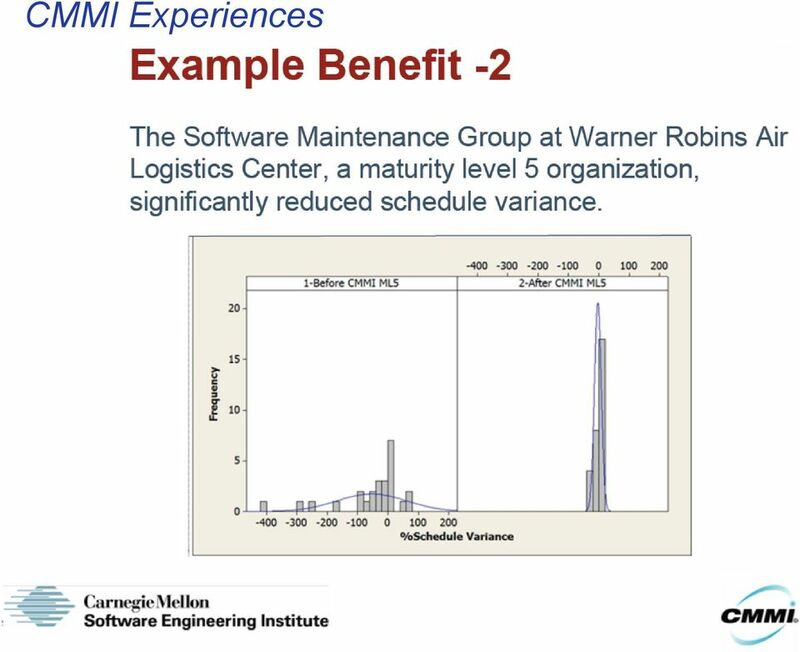 18 Benefits from Using CMMI Organization's activities are explicitly linked to its business objectives. 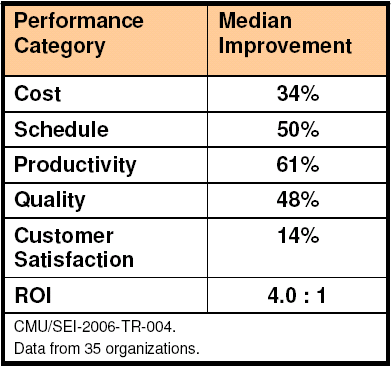 Visibility into the organization's activities is increased to help to ensure that the product or service meets the customer's expectations. 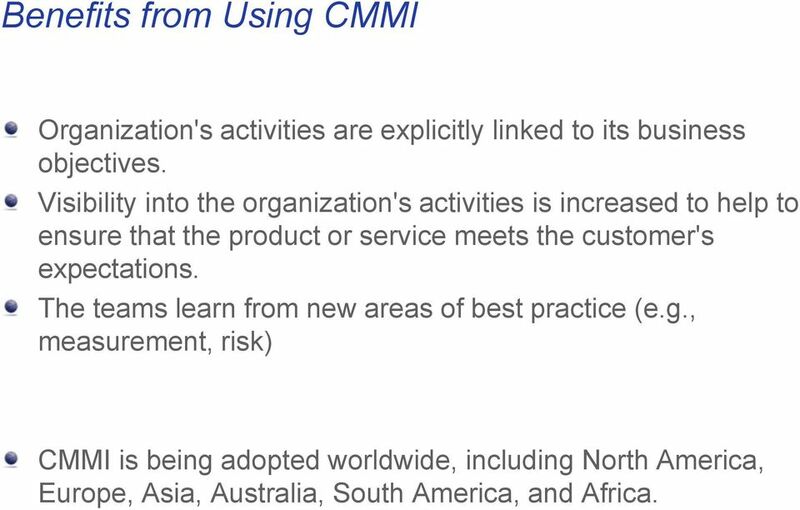 The teams learn from new areas of best practice (e.g., measurement, risk) CMMI is being adopted worldwide, including North America, Europe, Asia, Australia, South America, and Africa. 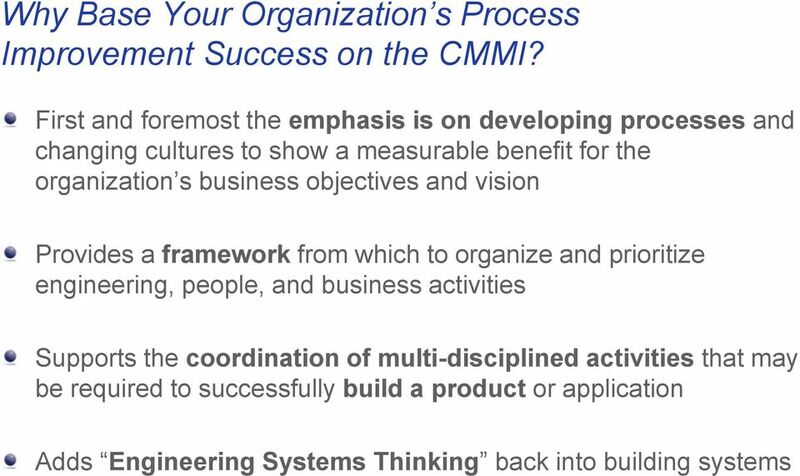 23 Agenda Why CMMI? 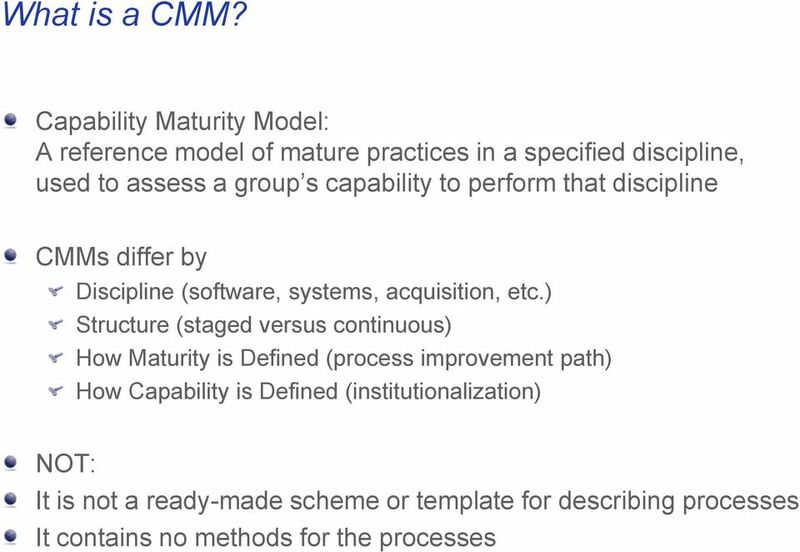 What is CMMI? Where does it come from and fit into? How does it look like? 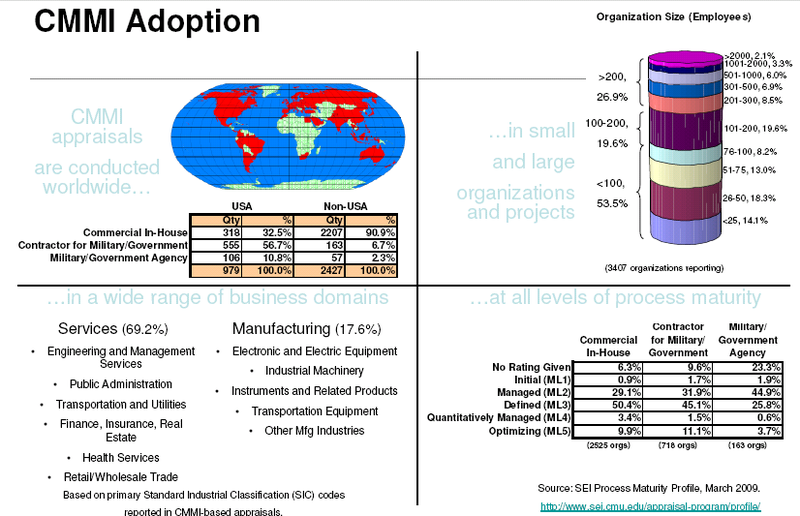 35 Capability Levels are Cumulative Because capability levels build upon one another, there can be no gaps. 44 Model Terminology -2 Establish and Maintain This phrase connotes a meaning beyond the component terms; it includes documentation and usage. 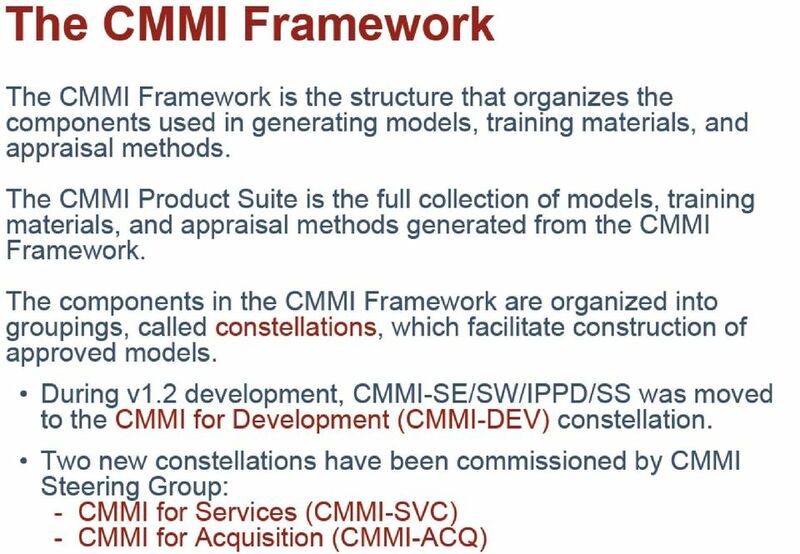 Work product The term work product is used throughout the CMMI Product Suite to mean any artifact produced by a process. 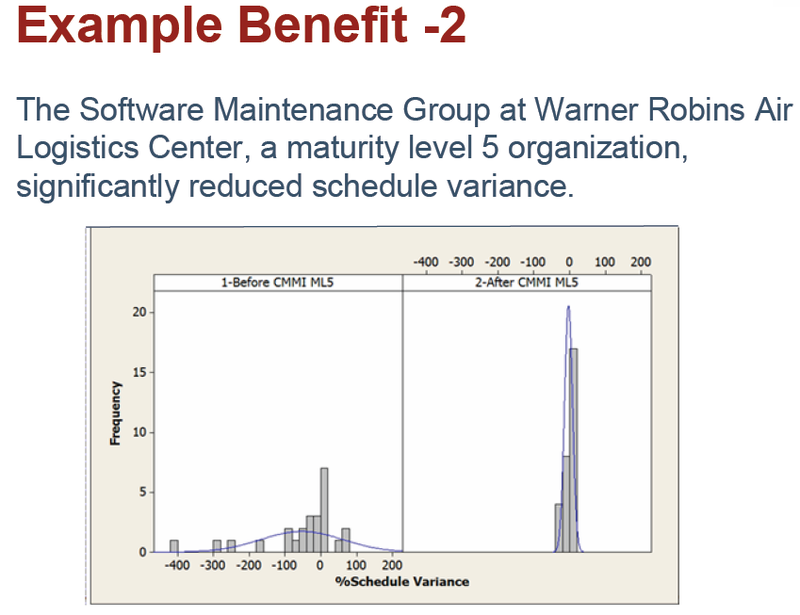 These artifacts can include files, documents, parts of the product, services, processes, specifications, and invoices. 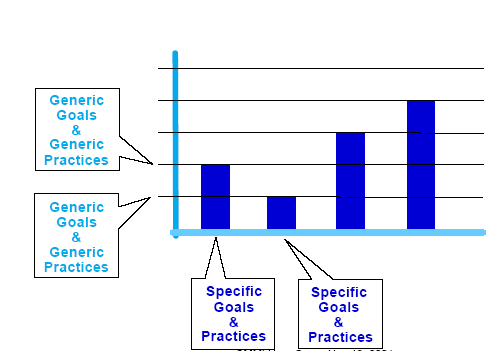 Planned Process A process that is documented both by a description and a plan. 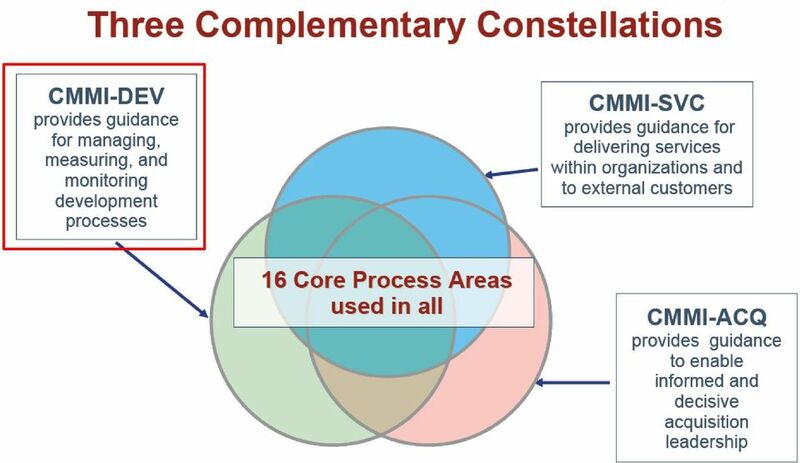 The description and plan should be coordinated, and the plan should include standards, requirements, objectives, resources, assignments, etc. 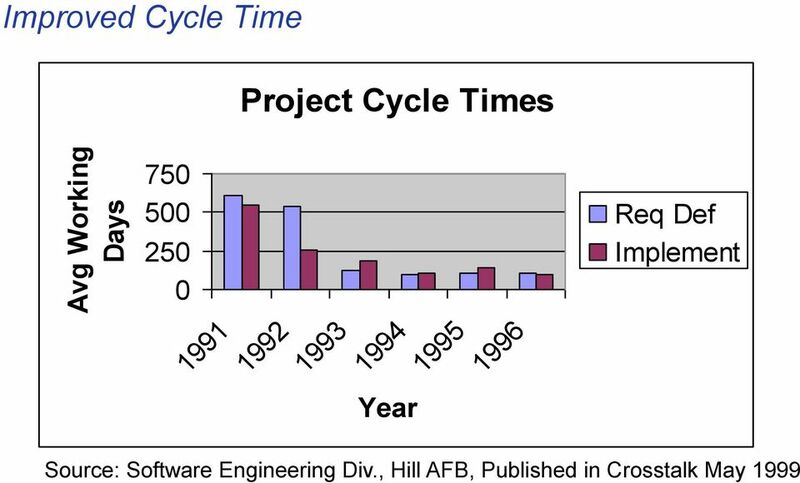 Is Your Agile Development SAFe? 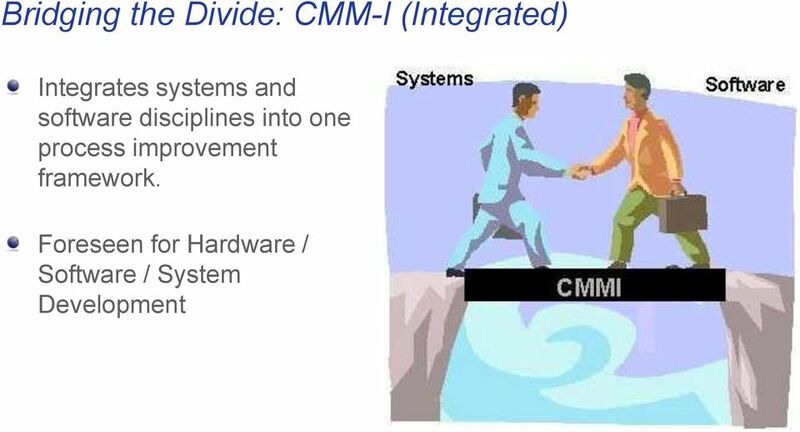 CMMI and Agile: Partners in Driving Radical Change in Engineering.